For over 600 games, the man who wears the ‘C’ on his New York Islanders sweater has tormented his rivals with a multi-faceted offensive arsenal. Great shot. Great passer. Outstanding hand-eye coordination. Brilliant hockey sense. The scouting report on the 27-year-old centre speaks volumes about his big-time talent. Mathew Barzal, playing in his first full NHL season, knew all of those things. He also knew what it would mean to be around Tavares every day. Tavares is equally committed to his role as the Islanders leader. 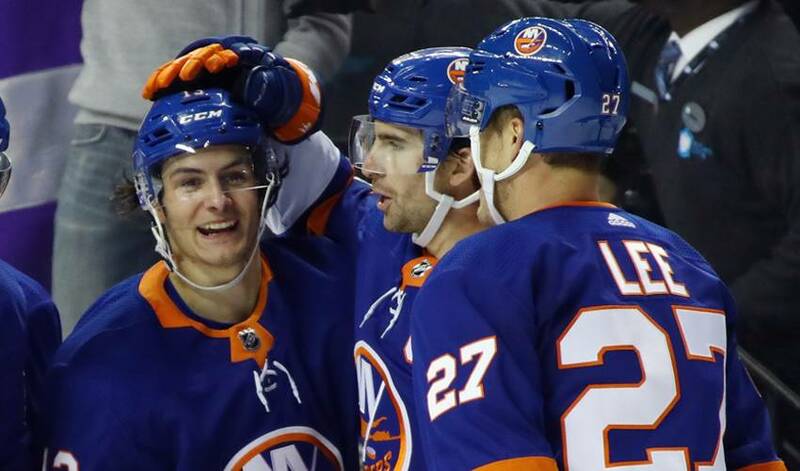 Whether it’s through his actions or words, Barzal marvels at the former first overall pick’s ability to rally his team during the course of a game. But it’s not only at the rink where Tavares manages to make a good impression on his teammates. He also happens to be an ideal role model for a player like Barzal, an emerging star that’s looking to make his own mark at the game’s highest level. A big part of Barzal’s performance on the ice – six goals and 24 points in 26 games – is tied to how he’s been made to feel off the ice. He once again points to Tavares as a major influence on his confidence level. A group led by one of hockey’s bona fide game-changing superstars.